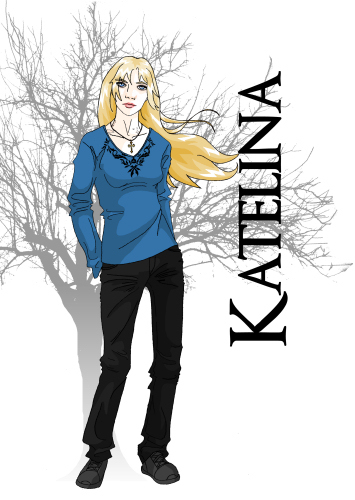 Katelina was an average woman with a job at a newspaper office, a best friend and a nagging mother. The only idiosyncrasy in her life was Patrick - a free floating friend with benefits. When Patrick is murdered, Katelina has no idea that her life is about to plunge into darkness thanks to the mysterious Jorick. 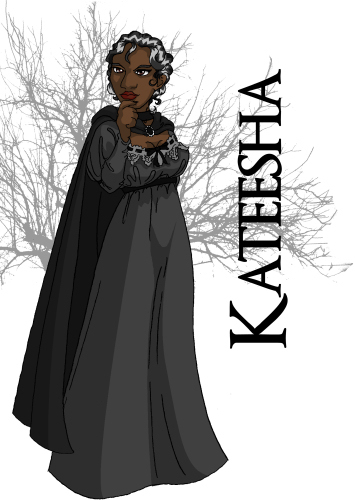 Surrounded by vampires, Katelina struggles to find her place in his world. A dark, enigmatic vampire. As he and Katelina grow closer, he turns from protector to lover, though she sometimes wonders what he sees in her. He only wants some peace and quiet, but between the enemies he's made in the last five hundred years, and his fledgling Oren's wars, that peace seems elusive. Katelina's friend with benefits who she found murdered in his own apartment. As she tries to piece together what happened, she discovers that, though he was human like her, he was tangled up in a sticky web of crisscrossing allegiances and vampire feuds. The more she learns about him and the war that got him killed, the more she wishes she didn't know. 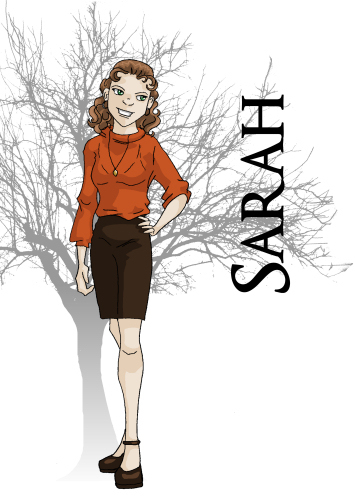 Cheery and energetic, Sarah is Katelina's best friend  or was until Claudius' henchmen kidnapped her by mistake. There is only one fate that she could have suffered, and it's not a pleasant one. 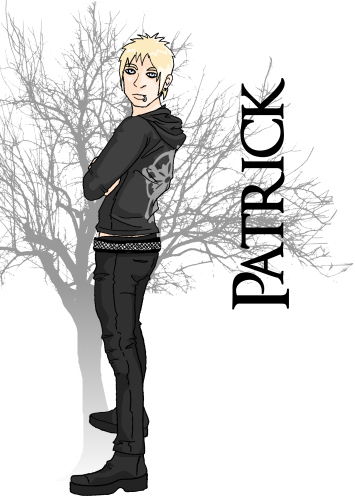 Patrick's younger brother. Michael gets tangled up with Claudius's coven. Not content to suffer alone, he drags his brother into the mess he's made. 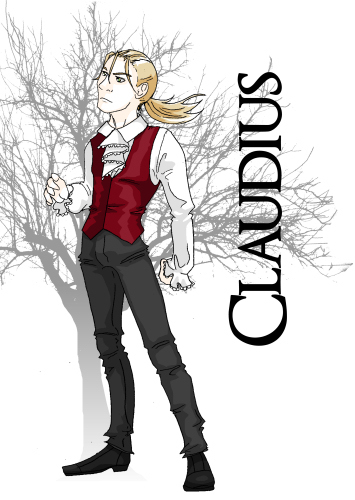 Claudius is a powerful vampire with an extensive coven and plenty of money. When his mate, Arowenia, is kidnapped by Oren and his associates, Claudius does his best to reclaim her, including hunting down Katelina, who he thought was involved in the crime. 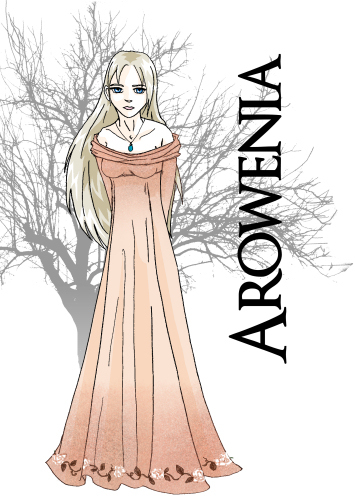 Arowenia is Claudius's mate, though whether by force or choice is a matter for debate. More child than woman, she was kidnapped by Patrick and his brother and held in a secret location. But, does he really love her, or is she just an excuse for a war? Jorick's friend and Fledgling. Oren hops from one vampire war to another, but are they really his idea, or the battles of his sister, wife and brother-in-law? When tragedy leaves Oren alone and bitter, will he ever be able to find his way out of despair, or will he throw his life away in an unwinnable war? Oren's wife. 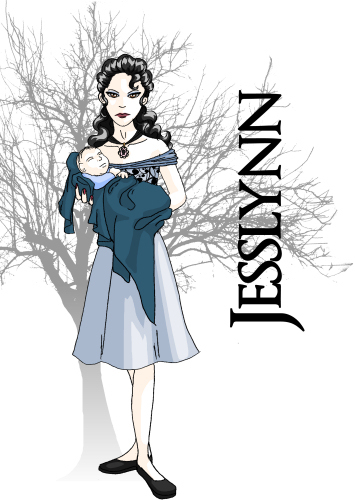 Jesslynn is tall, thin and haughty. She is at once regal and cold with a commanding presence. It's quickly obvious that she's the dominant force not only in her marriage but in her household and even in her coven. 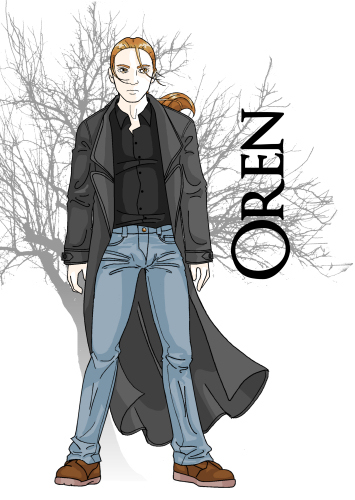 Oren's son, he seems to be about five years old. With dark eyes and a cheerful outlook, he doesn't find anything strange about his existence - or does he? Oren's sister. One look at her slinky dresses, long nails and pouty lips and anyone can identify her as a man eater. When she's not toying with men, she's helping her brother plan his battles  even though she can see the hopeless of it. Is it love for her brother that stops her from leaving, or fear of being alone? 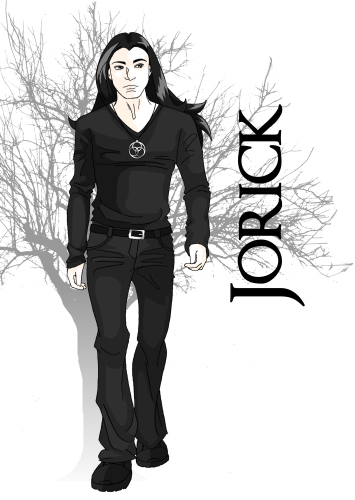 Jorick's sister in blood; he and Kateesha shared the same master. Meant to be mates, they are ill-suited to one another  or so Jorick says. However, the vindictive, ruthless vampiress does not agree. Though Bren worked with Jorick in the old days, there is no love lost between them. Jealous of Jorick, Bren always wanted to be Malick's pet. A hunter, he is able to track humans and vampires, even when others think the trail has gone cold. There are many who believe that he and Senya have a relationship that is far more personal than professional. 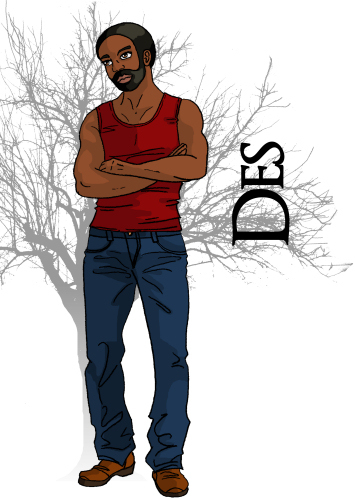 A friend of Torinas, Des has been helping with Orens war for a while, but is he part of the cause, or is he only there to appease Torina? A tough vampiress with a chip on her shoulder. Is she really mad at everyone, or does putting up with her sniveling brother Thomas put her in a bad mood? 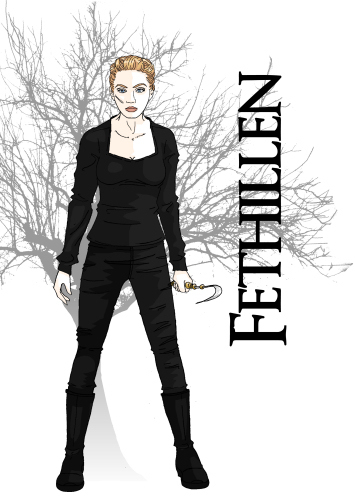 Malick's favorite Executioner - or at least she should be. Cold and cruel, she enjoys causing pain and terrorizing her victims. 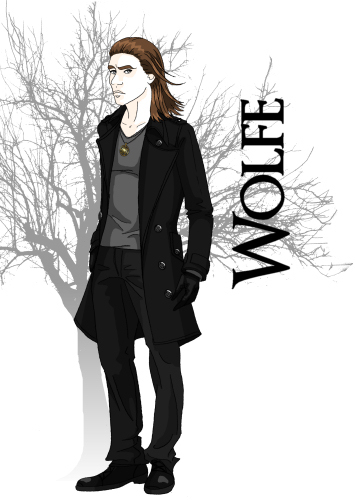 A former associate of Jorick's, she was only a minor player when he left but has since risen to a high rank and is assigned many of what Malick deems the "most important" tasks. A faded photograph with sad eyes, Velnya is a memory that refuses to fade. 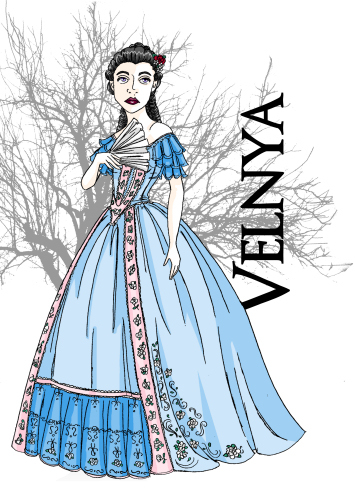 Will Katelina ever feel that she is out from under Velnya's shadow? 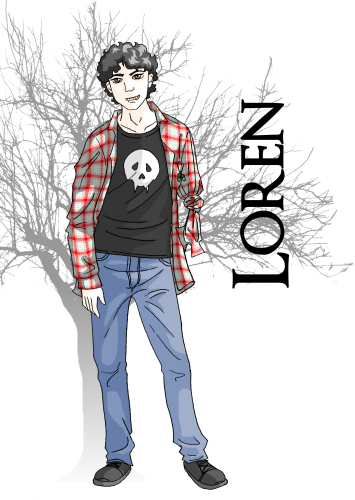 A teenage vampire who is too busy helping Oren with his war to sparkle. With a naturally cheerful attitude, he's one of the few who seem to have a real fondness for Katelina, but one question remains: how can he stand Micah? 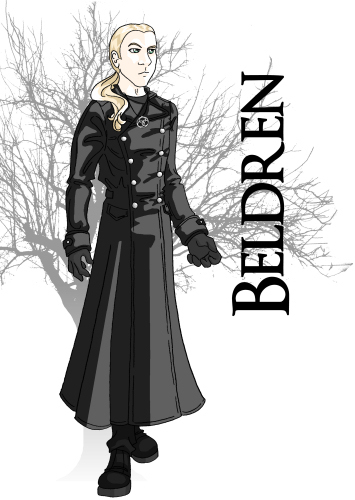 A self-styled ladies' man, Beldren likes to maintain his aloof composure - until there's gossip to share. A former associate of Jorick's, Beldren is vain and one gets the impression that all of his clothing has been staunchly ironed. Though, since he is an illusionist, perhaps they one only sees what he wants them to. 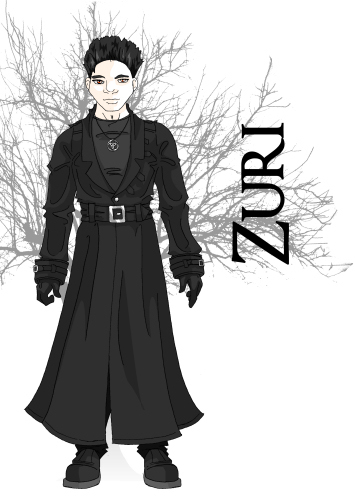 Though short, as a titan, Zuri is stronger than many of the vampires who are older than him. 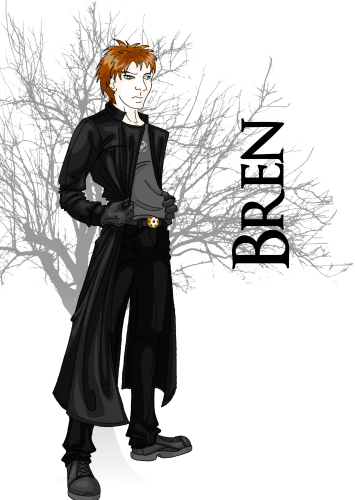 Usually quiet, he is often seen in the company of Beldren, who is his polar opposite. 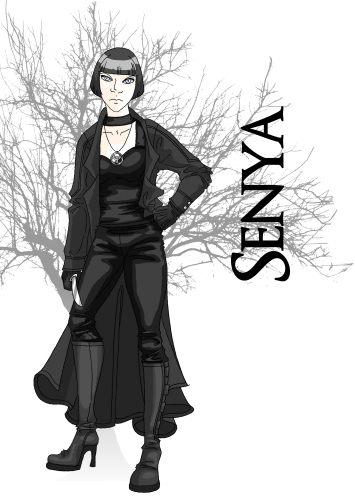 Though quick to follow orders, he is not as enamored with Senya as some of the other Executioners. 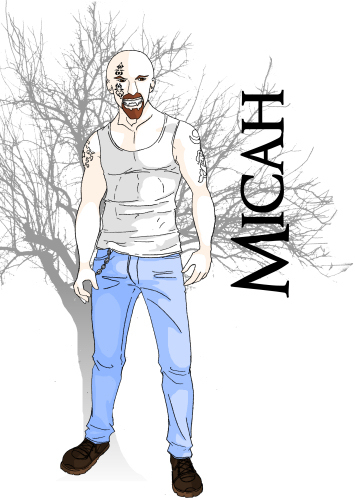 A vampire who could have dropped right out of a seventies' biker movie, Micah comes equipped with a strong dislike for Jorick and a bad attitude, not to mention a propensity for calling Katelina "Lunch". Will Katelina learn to whittle just to make a stake and deal with him once and for all? 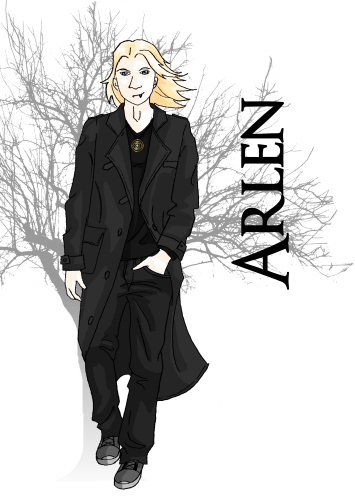 Jesslynn's brother and Oren's brother-in-law, Fabian doesn't bother to disguise his dislike of Jorick or Katelina. 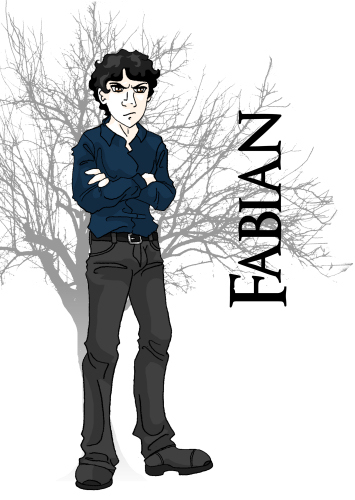 One of the main proponents of Oren's war, Fabian is like a yapping Chihuahua with a bad temper. 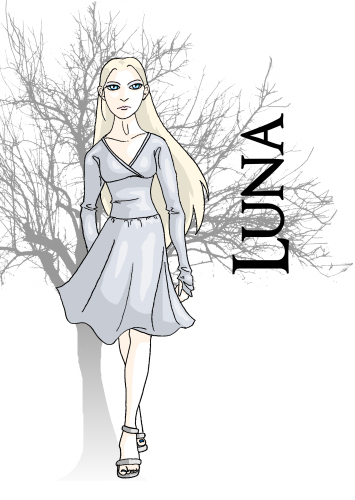 A former member of Kateesha's coven, Luna and Fabian seem to be involved in a relationship, though what the willowy, lady-like vampiress sees in him is anyone's guess. 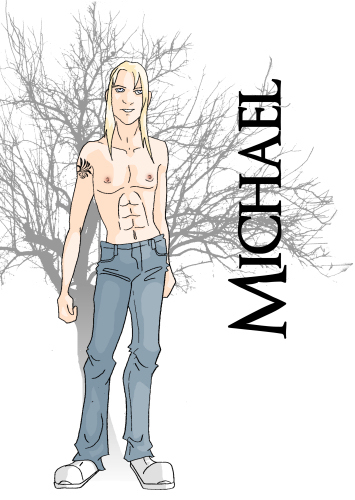 A too cheerful vampire who seems comparable to Visa: he's everywhere you want to be  or at least everywhere Katelina and Jorick are. What is he up to? And just whose side is he on? Is he one of the good guys or one of the bad guys? Does he even know? Even more curios, why doesn't Katelina hate him like she should? 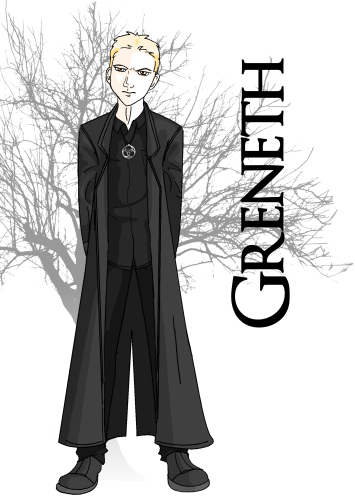 An executioner since 1900, Greneth is a demon eye who can see small glimpses of the future. This serves him well as one of Senya's lackeys. Armed with a permanent sneer, he's impatiently waiting to climb the ladder towards command. 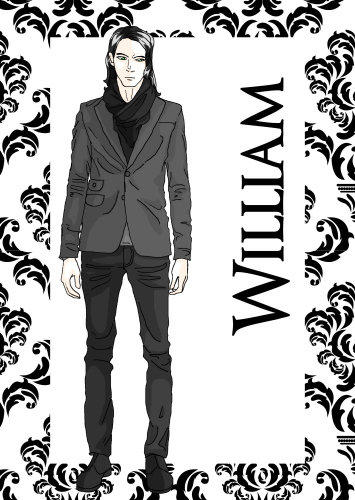 A vampire who emigrated from Germany in the 1800s. 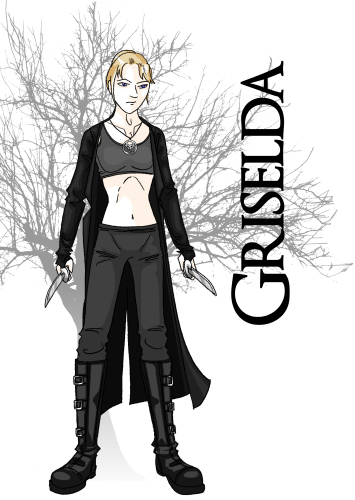 Griselda, or Zelda for short, was recruited to replace Jorick when he left. Though she is a strong woman, she cow tows to Senya and allows the even stronger woman to dominate her, earning her the unofficial nickname of "Senya's Lackey". 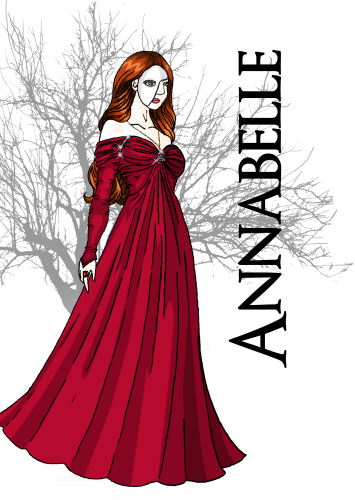 As an agonizer, she can cause pain to her victims using only her mind, a rare gift among vampires. However, she was not blessed with the mind reading/controlling abilities that often come with such a gift. A Dream Stealer - aka mind reader. A former associate of Jorick's, he and Jorick nearly fought to the death when Jorick left the Executioners. 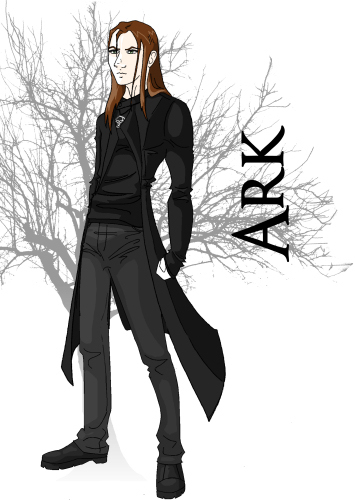 Now the leader of the group, Ark's haughty attitude and no nonsense outlook demonstrates his own sense of importance. But, could it be a false bravado to conceal a tragic past? 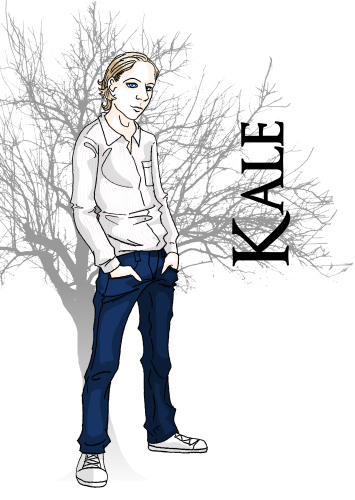 A former member of Claudius' coven, Kale has let bygones be bygones. When he is kidnapped, Jorick and Oren rescue him. Even when they have him back, questions remain, such as who kidnapped him, and how? Kale's wife. 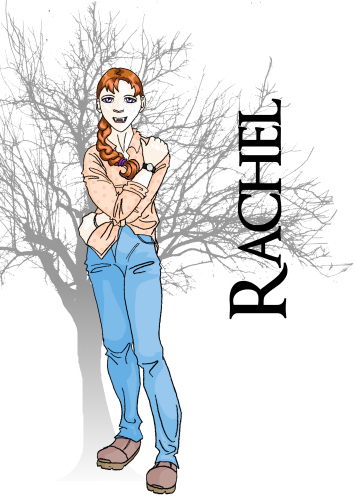 By vampire standards, Rachel is more than a little plain. 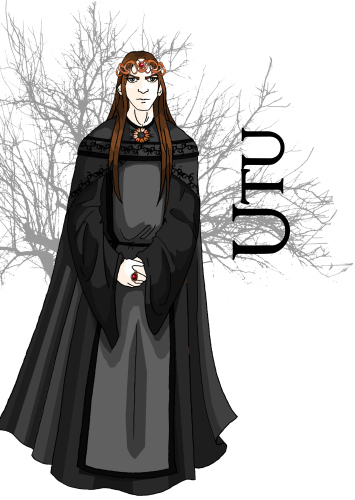 A former member of Claudius' coven, both she and Kale swear that they've let bygones be bygones. Have they really? And can Katelina trust someone who used to follow Claudius? 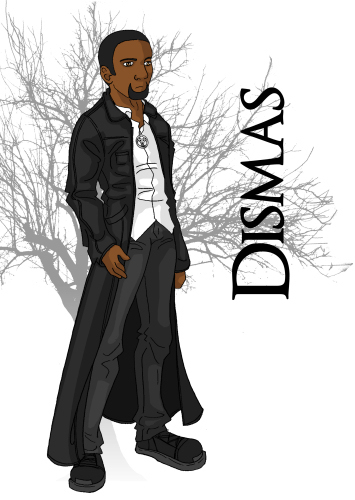 Recruited to replace the Executioner killed at Oren's manor house, Dismas has only been with the group for two months. By vampire terms, he's barley settled in. A Ghost Hand, he can move objects with his mind, just like telekinesis. An Omaha Indian, Migina is one of three who replace Kateesha. Of the three she is the only one still alive. 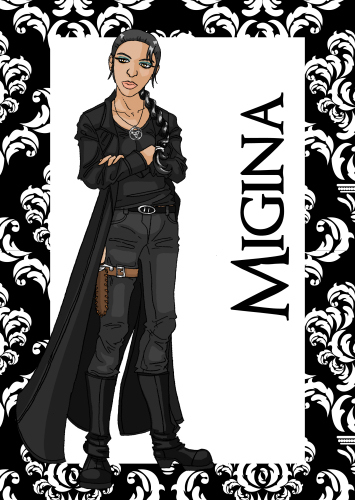 Whether from watching her teammates die, or from some other cause, Migina often comes off as cold and bitter. 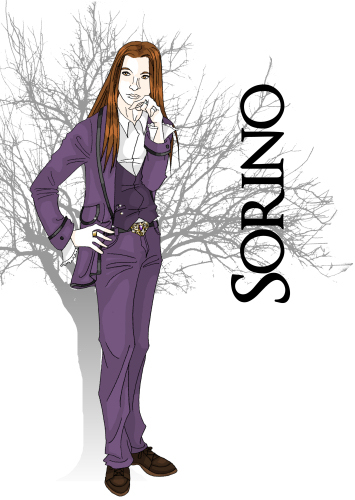 Sorino appears to be a friend of Verchiel's, though just how close are they? 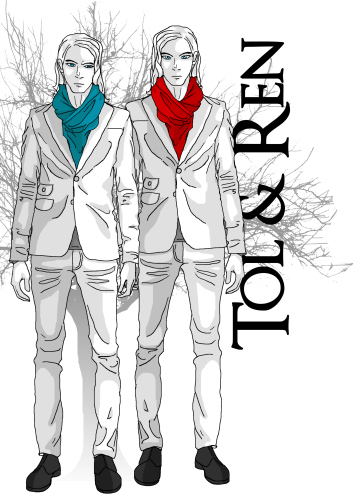 A mysterious 'relic hunter' who kills rogues for fun and keeps his human pet on a chain. Katelina is sure he's up to no good, and she can't find anyone who disagrees. 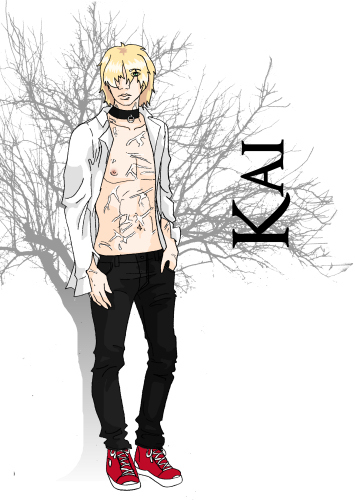 Sorino's "pet", Kai follows his master and doesn't seem to mind that he keeps him on a chain at least half the time. Though he rarely talks, there's surely more to the boy than an obedient teen, isn't there? 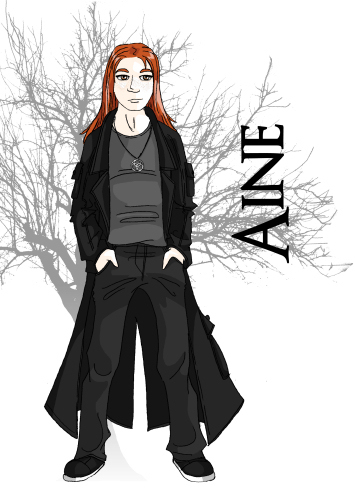 One of the newer Executioners, Aine's freckled face makes him look young, but don't be fooled by appearances. He is nearly as old as Oren. 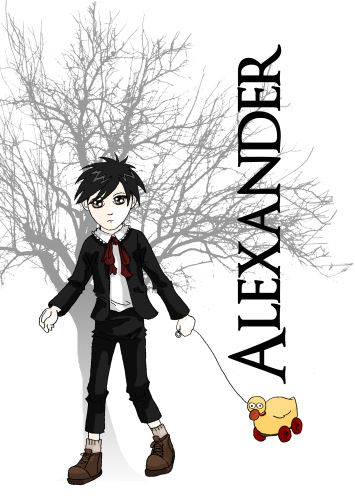 A Puppet Master, he can manipulate a person's actions and make them do things against their will. 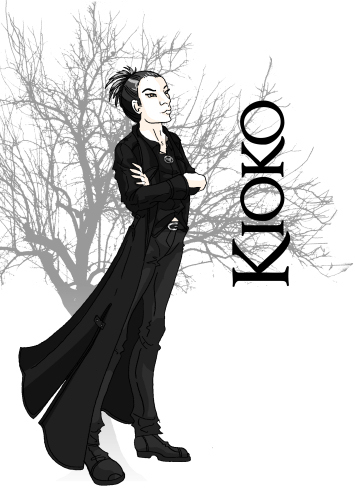 Nearly the newest Executioner, Kioko is too serious for her own good. 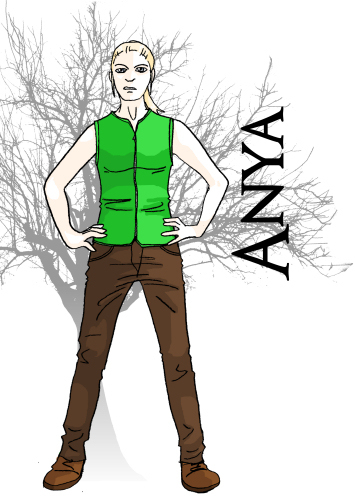 A Hunter, she has a natural tracking ability and can find anyone she sets her mind to. 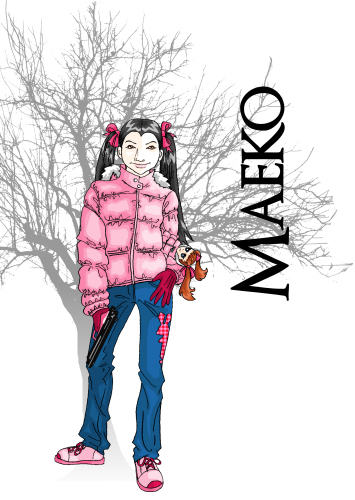 Born of Japanese immigrant parents, rules, tradition and propriety are very important to her. 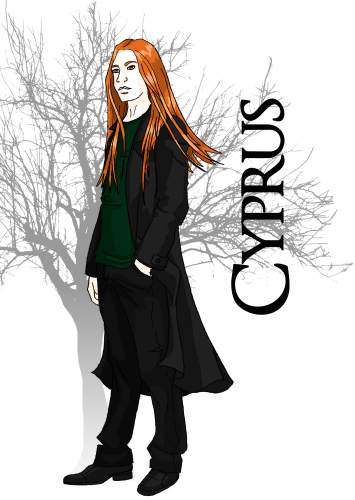 The newest Executioner, Cyprus is assigned to accompany Jorick and Katelina to Munich, presumably because he's been there before. But just what happened the last time he was there? 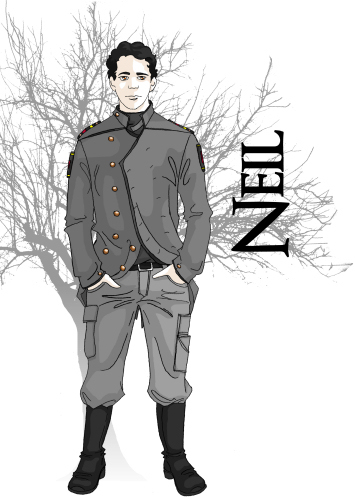 A guard at the vampire citadel in Iowa, Neil is assigned by Eileifr to accompany Katelina and Jorick to Munich, though no one is sure why. Perhaps he's one of Verchiel's friends? Or did Eileifr see something in the future that effected his decision? 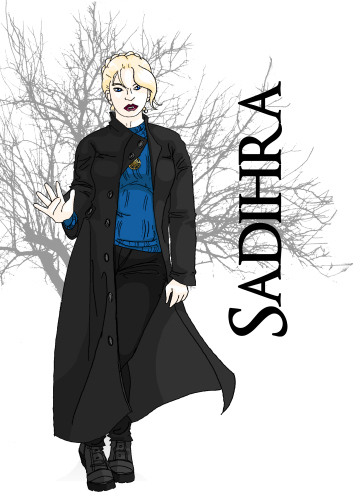 A Scharfrichterin (Executioner)in Munich, Sadihra seems more than capable, but for some reason she isn't the one given the assignment to deal with Katelina and Jorick. Does it have something to do with her superior's seemingly chauvinistic attitude, or is there more at play? The head of the Scharfrichter (Executioner) in Munich, Wolfe is the only vampire in the stronghold who speaks directly to the True Council. So why is he assigned the lowly duty of escorting Jorick and Katelina around? And is he really a total jerk, or does he just act like one for fun? 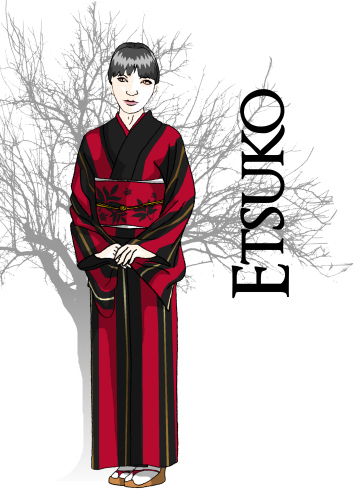 After a tarot reading, Etsuko, a former human slave of the Tsukino clan, felt it was her destiny to help Oren. After begging her master, she was allowed to leave Japan to accompany the surly vampire. The question is, what does Oren think of this? 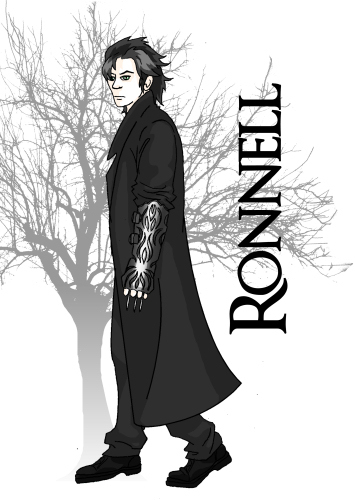 A wind walker with a comic book style weapon, Ronnell is one of Malick's new recruits. A wind walker, his super speed makes him nearly impossible to beat. Like a Whirlwind he moves across the battlefield, swiping with his bladed glove. Is there no way to defeat him? A mysterious vampiress who claims to belong to a secret organization: The Black Vigil. But no one's ever heard of it. 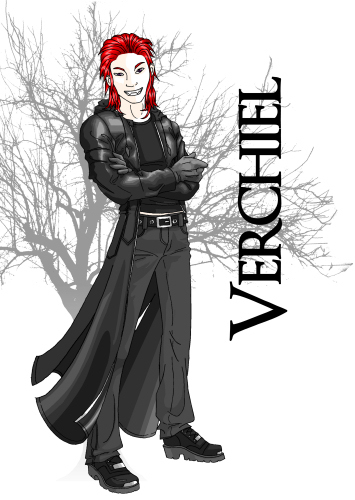 She also claims to know Verchiel, only he doesn't remember her. After all, how can he keep track of everyone he's met in the last 300 years? A vampiress with a commanding presence; her scarred face and missing ear hint that she's seen battle, but why is she hunting the Children of Shadows so ferociously? A human running with the vampires. 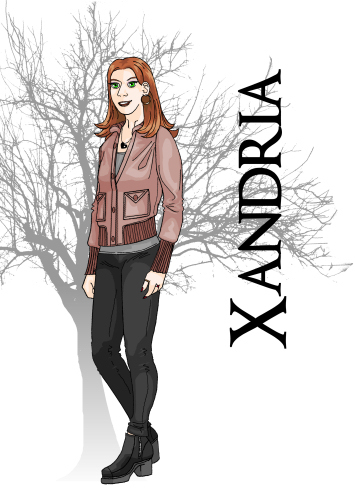 At first her presence is a refreshing change, but is Xandria really who she seems to be? Legend says that Samael and Lilith were the first vampires. 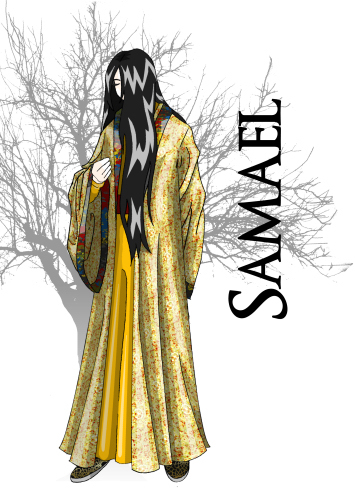 After a fierce, jealous fight, Samael cut out Lilith's heart, but could not bear to destroy it and so kept it and housed her still living body in a secret tomb. Of course, the story is nothing more than a story - right? A former associate of Jorick's, he not only seems nicer than the others, but is also the closest thing to a friend that Jorick had among the Executioners' ranks. A fellow whisperer, he can read minds and also influence other's thoughts. 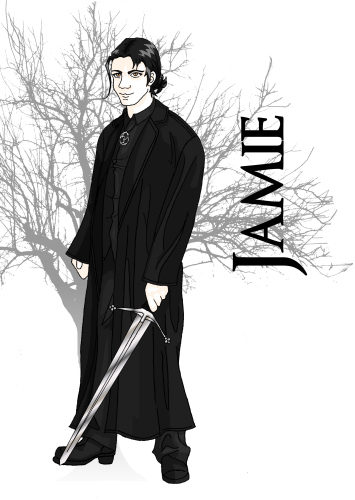 Left with what remains of a Scottish accent and nearly as old as Jorick, Jamie was already a vampire when he came to America in the late 1600s. One of the Kugsankal - or True Council - that rule the vampire world from their thrones in Munich, Germany. 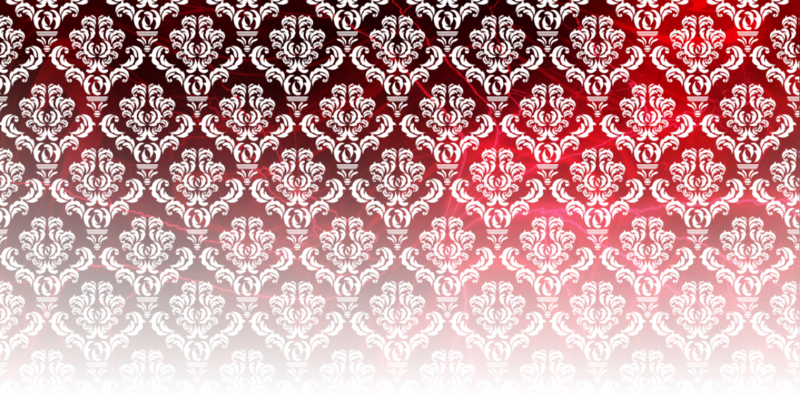 Known by many names over the centuries, Inanna and her co-chairs have relapsed to using their Sumerian names, from the time when they were worshiped as gods. 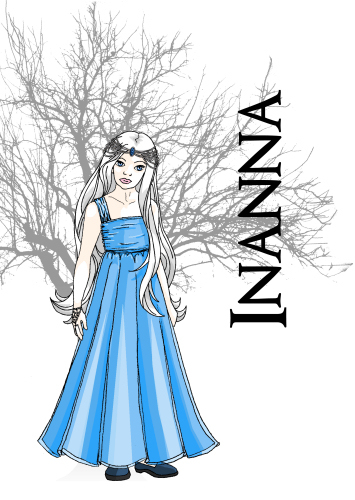 Not only an imparter and mind reader, as an oracle, Inanna can see the past, present, and future. With these abilities and the sheer weight of her years, she and her fellows are able to hold a tenuous control. The head of the True Council in Munich, Germany, and wearer of the immortal crown. 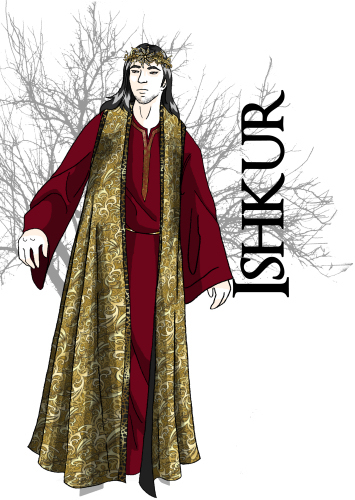 A warrior in days of old, Ishkur has taken the leadership of the council by force, having killed those who lead before him. His domineering presence is enough to kowtow most vampires. 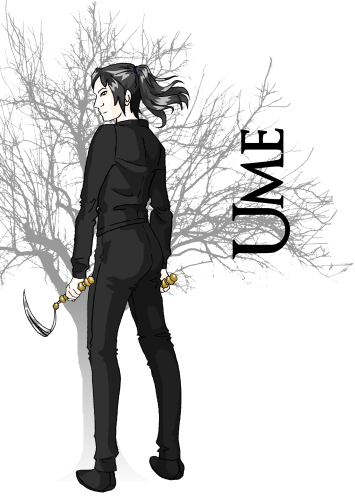 The third member of the True Council, Utu is a dark mystery. His mind reading is on another level altogether, and one look in his eyes is enough to pull one into a dark abyss. 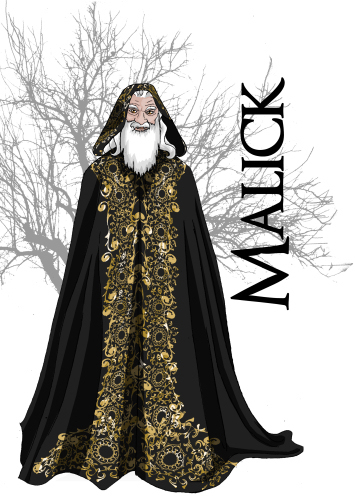 Older than Malick, there's a chance that like the troublesome master, he too can kill with the power of his mind. 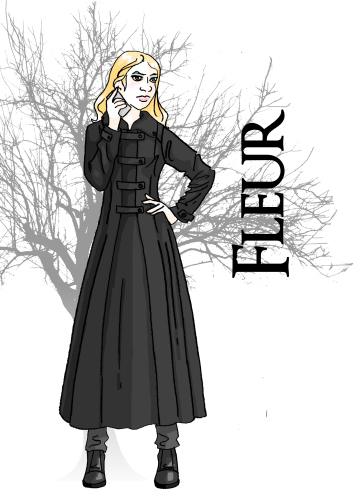 A Canadian Executioner for the Assembly, Fleur is assigned to help provide security for Andrei's party. Though she'd rather not share duties with the Americans, she's determined not to let politics get in the way of doing the job. A rich vampire with an acute business sense. Every fifty years he hosts exclusive parties for vampiredom's elite, but this year he demands extra security. Is he really worried about an extinct cult, or is it a political power play to help Canada get an independent Guild? Andrei's mate, Annabelle wears a strange mask that covers half her face. Is she getting into the spirit of the Masquerade, or is she hiding something? 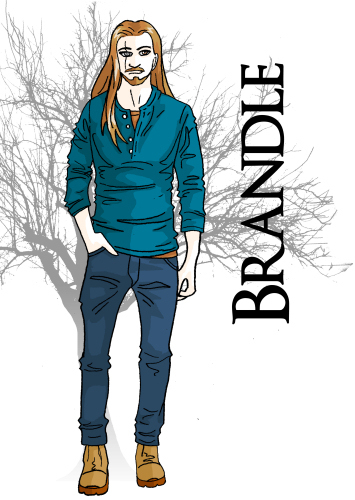 One of the guests at Andrei's party, Brandle seems cheerful and friendly despite his years, but is he really, or is he up to something with his old friend William? A friend of Brandle's, the pair waged war in long ago days. 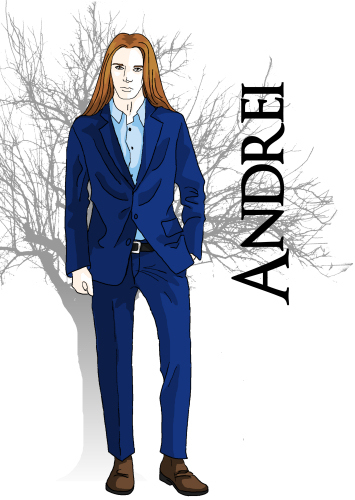 Now, a guest of Andrei, is he up to his old tricks again, or is it something more sinister? Identical twins, the pair are guests at Andrei's party. Despite assurances that theyre "nice", Katelina knows they're up to something. If only she can figure out what before it's too late.